Soprano Elizabeth Baldwin’s recent engagements include the Verdi Requiem with the Alabama Symphony and Verdi & Company with the Dallas Opera. Other notable credits include a debut with the Boston Youth Symphony Orchestra singing the title-role in Puccini’s TOSCA, the title role ARIADNE AUF NAXOS with Opera Theatre of Pittsburgh, Lady Macbeth MACBETH with the Opera Company of Middlebury and LoftOpera (NYC), Amelia UN BALLO IN MASCHERA and First Lady DIE ZAUBERFLÖTE with the Boston Youth Symphony Orchestra, title-role TOSCA with Opera San Jose, Tatyana EUGENE ONEGIN for Chautauqua Opera, TOSCA with the Colorado Springs Philharmonic and Strauss’ Vier Letzte Lieder with the Denver Philharmonic. 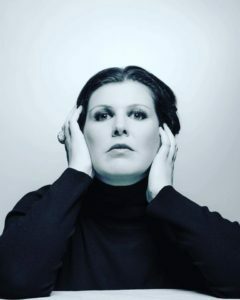 In 2012/13 Ms. Baldwin sang TOSCA with Kentucky Opera in collaboration with the Owensboro Symphony, Viclinda I LOMBARDI with The Opera Orchestra of New York under Eve Queler and Ellen Orford PETER GRIMES at Chautauqua Opera. Upcoming engagements include the title-role TOSCA with the Gulf Coast Symphony, Beethoven 9th Symphony with the Sarasota Orchestra and the title-role NORMA at the Opera Nacional de Chile in Santiago. In the 2011/12 season she sang the role of Margherita in Boito’s MEFISTOFELE at the Merola Schwabacher Concert under Giuseppe Finzi and covered the role of Arminda in Mozart’s LA FINTA GIARDINIERA at the San Francisco Merola Opera Program. In 2010/11, Ms. Baldwin sang Micaëla CARMEN at Arbor Opera and Cora in Stephen Paulus’ THE POSTMAN ALWAYS RINGS TWICE at the Boston Opera Institute. She also attended the Ravinia Festival’s Steans Music Institute under the direction of Brian Zeger and was guest soloist at the Paroisse de la Cathédrale in Monaco, then and at the residence of the Consulate General of Ireland in New York. On the concert stage Ms. Baldwin performed the Widow in Mendelssohn’s Elijah with the Boston University Orchestra and Chorus, with additional credits including Vivaldi Gloria, Fauré Requiem, Schubert Der Hirt auf dem Felsen, Aaron Copland As It Fell Upon A Day, John William Seven For Luck, William Schuman In Sweet Music and Ivan Fedele Maja. In competitions, Ms. Baldwin is a 2013 International Finalist in the Francisco Viñas Singing Competition in Barcelona, 2012 National Semi-Finalist in the Metropolitan Opera Council Auditions, and 2011 Grand Prize winner in The William Matheus Sullivan Musical Foundation competition. She is First Place winner in the National Opera Association Artist Division (2013), The Schuyler Foundation for Career Bridges (2012), National Orpheus Vocal Competition (2011), and The Heida Hermanns International Voice Competition (2010). The Tanglewood Music Center Festival awarded her with the Grace B. Jackson Prize for Singers after her summer apprenticeships (2009 & 2010). Ms. Baldwin earned her Master of Music degree in Opera Performance at Indiana University Jacobs School of Music where she studied with Carol Vaness. Her Bachelor of Music in Vocal Performance came from Bowling Green State University where she studied with Myra Merritt. She currently works with Martin Katz.